From microwave dinners to fast food containers, the amount of packaging waste in the United States continues to climb as our throw-away culture hits its peak. According to Recycling Revolution, about one-third of an average landfill is made up of packaging materials and packaging represents nearly 65 percent of household trash. But with some tweaks to your routine and smarter shopping choices, you can limit the quantity of single-use packaging in our landfills. First, What Is Packaging Waste? Now that you know what it is, here are a few tips for reducing the amount of packaging waste you generate. Perhaps the easiest step to cut back on packaging waste is to bring your own bag to the grocery store. Many states have started banning plastic bags in an effort to reduce the amount of plastic in our landfills, so you may already do this depending on where you live. Whether you opt for canvas or cloth, using your own bags adds a personal touch to your shopping experience while also reducing the amount of plastic you bring home. Be a conscious consumer: choose products that use biodegradable packaging materials or containers that are easily recycled. 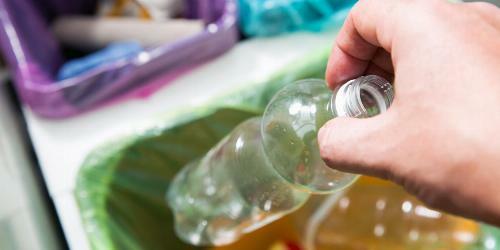 Plastic can only be recycled seven to nine times, so try to opt for cardboard, metal or glass containers instead. A cardboard cereal box can be recycled more easily than plastic yogurt containers, for example. 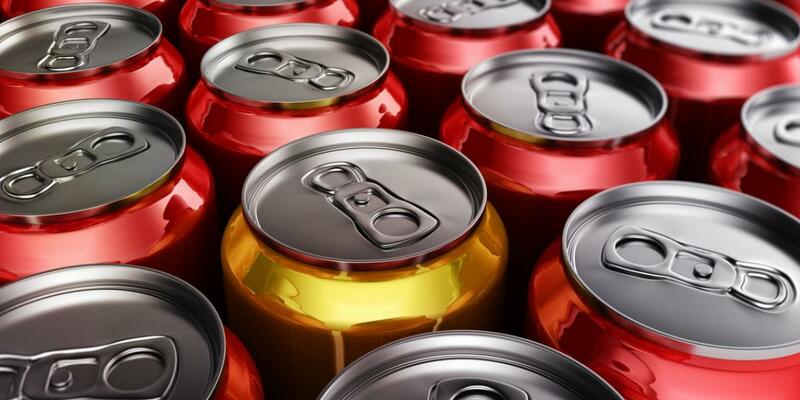 And metal cans or glass jars can be recycled endlessly or easily upcycled. To reduce packaging waste for items that you use regularly, choose the larger size. One big container usually requires less raw material than several smaller ones. On top of that, buying in bulk is often a great money-saving tactic. Many grocery stores even allow you to bring your own reusable containers for items like flour, spices, nuts and dry beans. When purchasing in bulk, just make sure you will use each item before its expiration date to avoid wasting food. Fresh fruits, vegetables and herbs don’t need packaging – especially when you harvest them from your own garden. Plus, growing your own food can save you money in the long run. If your backyard lacks the space to garden or compost, consider visiting a local farm or co-op. Pro-Tip: Bonus points if you start a compost pile to dispose of your food scraps! From plastic containers and utensils to paper bags and napkins, fast food packaging waste piles up quickly. The Natural Resources Defense Council states that single-use food and beverage packaging is a significant portion of the estimated 269,000 tons of plastic pollution found in oceans today. As if that wasn’t enough, a study by the Silent Spring Institute showed that one-third of fast food packaging they tested contained fluorinated chemicals, which can potentially harm both our health and the environment. Packing your lunch in a reusable container is an easy way to keep greasy or food-stained wrappers and boxes out of the landfill and our oceans. We understand that eliminating packaging from your life completely is a difficult task. By recycling whatever you can, you’ll prevent more of your packaging from ending up in the landfill. Plus, the process typically uses less energy than it would take to produce new materials. For everything you need to know about how to recycle, check out our Recycling Information Guide. How do you cut back on packaging? If you have any special tips for reducing waste in your household, let us know in the comments below. Is Single-Stream Recycling Worth It? You no longer have to sort paper, plastic, cardboard and glass into separate containers to recycle them at the curb. But the convenience comes at a cost. Want to help your college turn over a green leaf? 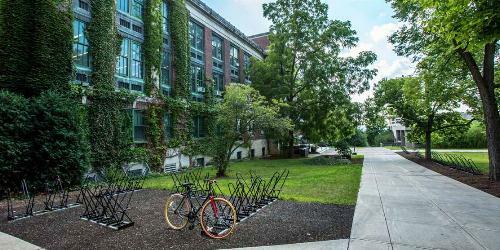 Campus Sustainability Month is a great time to start your own sustainability programs and get your classmates involved.ed.